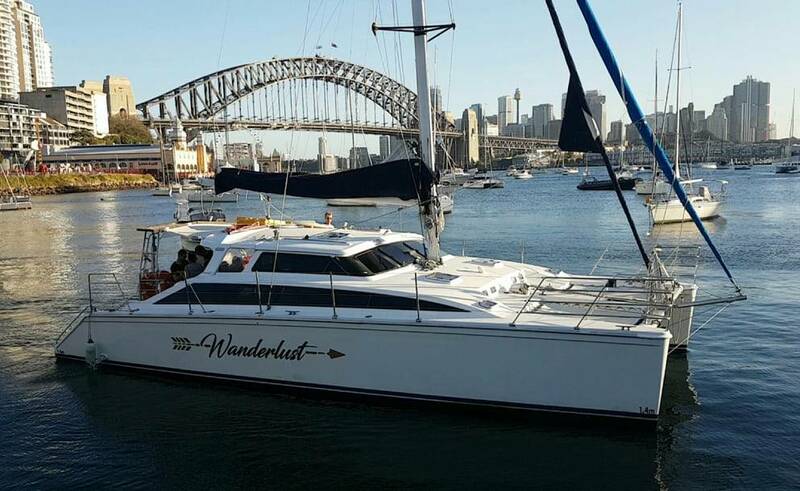 Could there be a better way to spend a sunny afternoon or balmy evening than aboard the gorgeous 43ft catamaran Wanderlust? We don’t think so, as this stunning dream of a boat has everything you need to elevate your party from good to truly unforgettable. 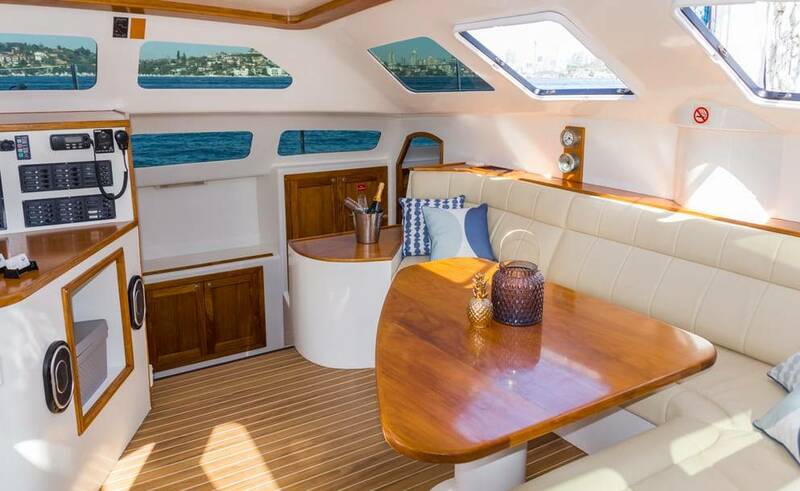 She features a comfortable wrap around lounge area with a sleek timber finish, and wide side decks affording easy access to her crowning glory, the magnificent foredeck. This amazing space almost compels you to cast off the cares of the daily grind and let your hair down. The aft stairs give easy access to the water if you are feeling energetic and fancy a refreshing swim; or if you need to re-charge your batteries, enjoy a sunbathe on the foredeck trampolines while taking in the awesome views of the harbour. 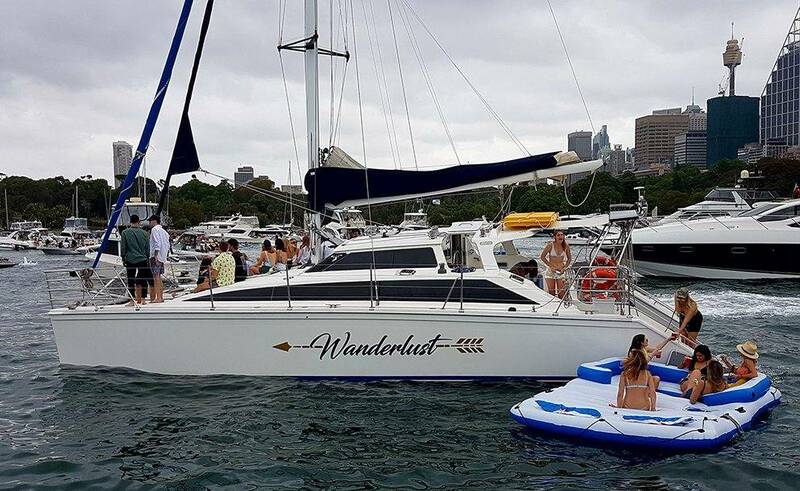 Her shallow draft allows access to inlets other boats cannot reach, so you can truly indulge your wanderlust aboard Wanderlust! Those seeking shade can take refuge in the covered cockpit area, which offers ample seating and a large icebox. So you don’t have to venture too far for a drink. 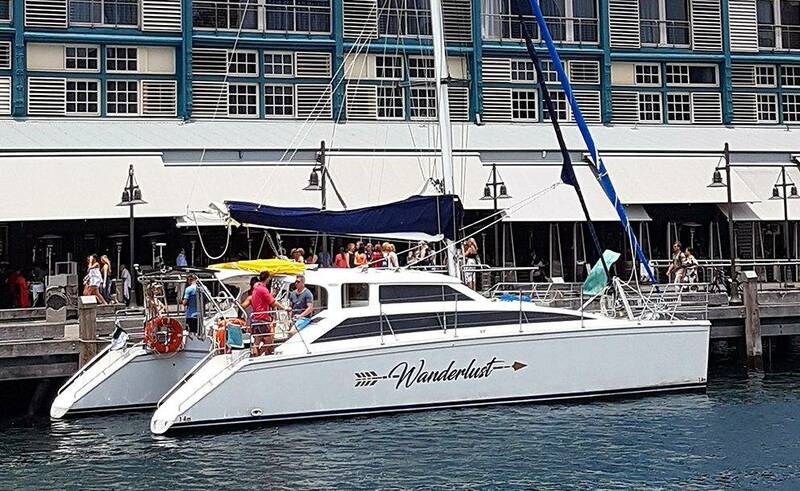 Wanderlust can accommodate 35 guests for a cocktail party or a buffet. 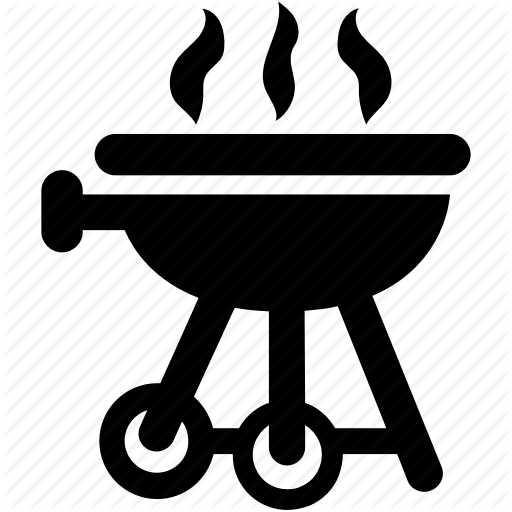 There is a well equipped and stylish galley as well as a bbq. 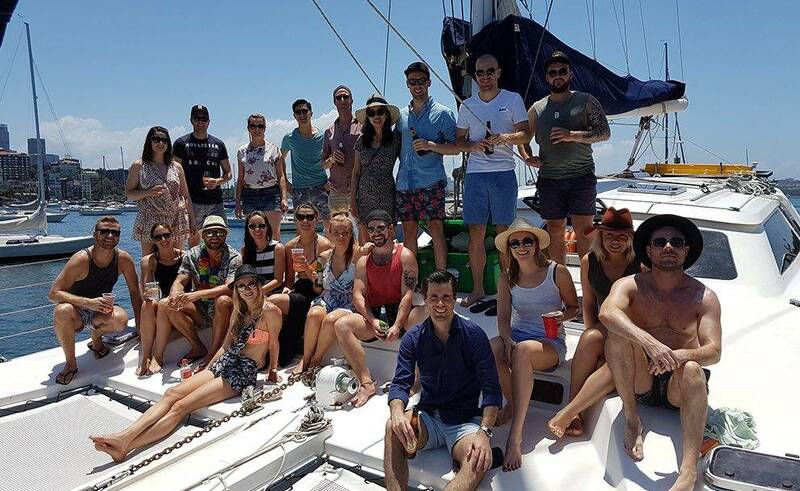 Also, you can bring your own food and drink, or choose one of the delicious catering options available. For your onboard entertainment there is a flat screen TV and a top of the range music system with iPod connectivity, so you can bring your own personal playlist, those special tunes you know will ensure the party goes with a swing. 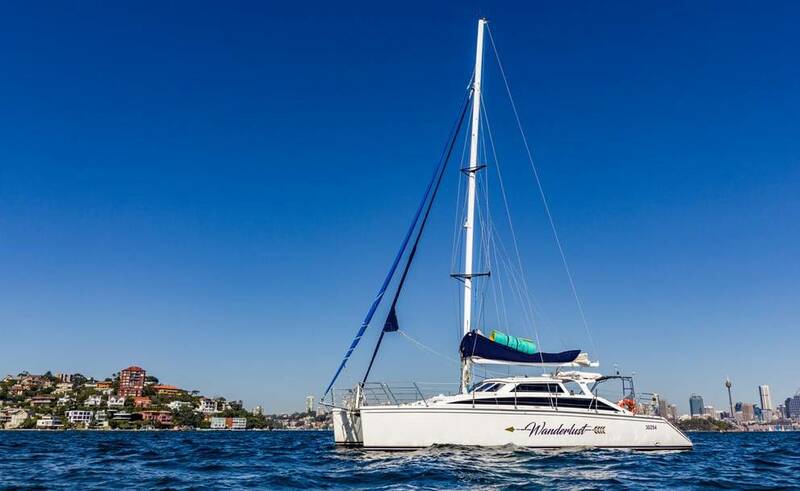 Wanderlust is the ideal name for this beautiful boat. She’ll have you dreaming of sailing away over the horizon on your own private chartered slice of paradise.